If you're considering a pickup truck that can handle whatever challenges you throw at it with ease, then you've probably come across both the 2018 Ford Super Duty and the newer 2019 RAM 2500. Since both of these trucks are so popular with people in Albuquerque NM and Americans at large, we thought it'd be a great idea to pit them against once another in a vs competition. This 2019 RAM 2500 vs 2018 Ford Super Duty review will highlight some of the more popular aspects and consider why you may choose one truck over the other in that category. The 2018 Ford Super Duty is a full-size heavy-duty pickup truck that's available in six trims: the XL, XLT, Lariat, King Ranch, Platinum and Limited. You also have the option of a regular cab, extended cab and crew cab in most cases. The RAM 2500 is also a full-size heavy-duty pickup, and it's available at any RAM dealership serving Albuquerque Santa Fe New Mexico offers a similar selection: Tradesman, SLT, Big Horn, Laramie, Laramie Longhorn, Power Wagon and Limited. Similar bed options are available as well. 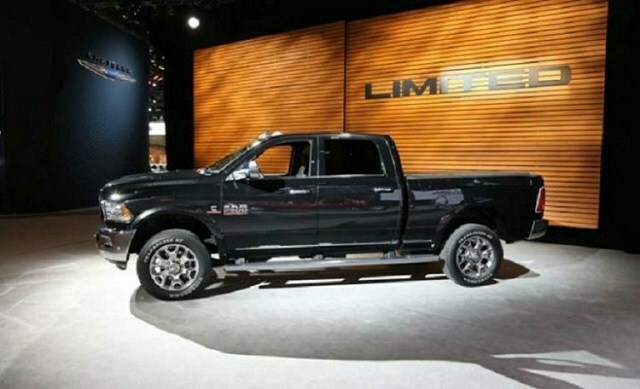 One way that the RAM really stands out here is at the base level. The Tradesman is widely considered to be among the best heavy-duty pickup packages available and thus provides a lot of bang for the buck. The powertrain is perhaps among the most intriguing aspects of this 2019 RAM 2500 vs 2018 Ford Super Duty comparison. The base motor for any RAM 2500 at a RAM dealer serving Albuquerque Santa Fe New Mexico is iconic. The 6.7L Cummins Turbo I6 diesel engine is both proven and legendary. It delivers 370 horsepower and 800 pound-feet of torque. The RAM really shines in this aspect of the vs because the Ford begins with a much more modest 6.2L V8 that gives you 385 hp but only 430 lb-ft. Both trucks begin at 17-inch wheels. The base model rims for the RAM may be a bit more stylized. Both manufacturers offer a number different starting at 18 inches. Both trucks are comparable in the trailering department, but the RAM does have a bit more curb weight as well as significantly greater gross axle weight rating. In all configurations, both trucks are RWD, and the engines are mated to a six-speed automatic transmission with overdrive. Another reason the RAM 2500 does so well in Albuquerque NM is its dimensions. The Ford does have greater ground clearance, which is useful in certain scenarios, but the 2019 RAM 2500 is arguably much more efficient in its overall design. 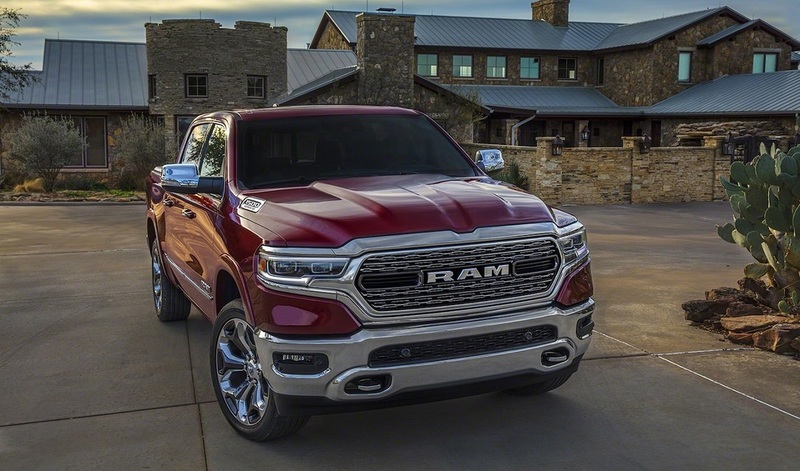 Characteristics like wheelbase, overall height and cab to axle are all comparable in this vs, but many truck fans agree that the RAM sets itself apart with its color selection, wheels, stylish folding trailer tow windows, clearance lamps, LED bed lighting, tubular side steps and more. The interior on both vehicles are a great reason to visit your local Albuquerque dealership and see them firsthand. Both trucks are comparable when it comes to passenger capacity, head room, leg room and so forth. Cabin areas are both well-design, and style preference will come down to taste. Both trucks come with a basic radio-based center dash by default. 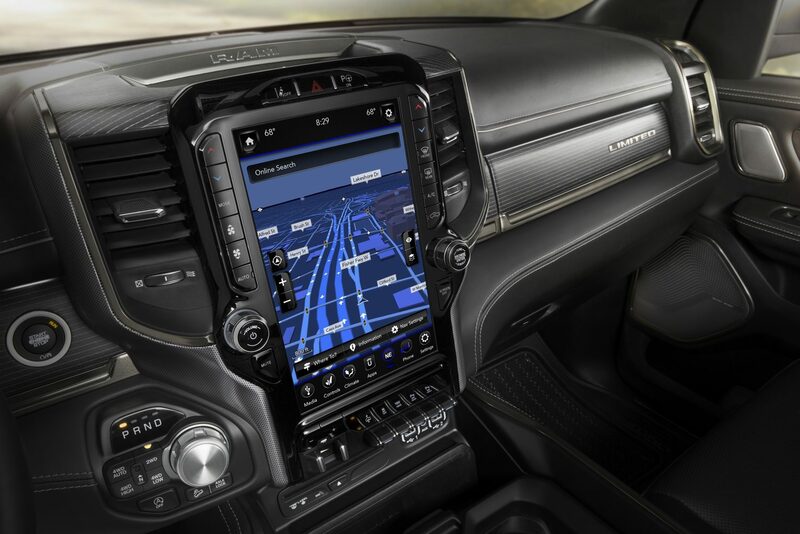 RAM does make it a big easier to upgrade to the Uconnect 3.0, and the Uconnect 3 with 5-inch display may be unmatched in this class. Both vehicles fare really well in this department. In terms of safety, there's no clear-cut winner in the 2019 RAM 2500 vs 2018 Ford Super Duty comparison. Both trucks have anti-lock brakes and stability control. Both feature an airbag system that extends to front impact, side impact and overhead. 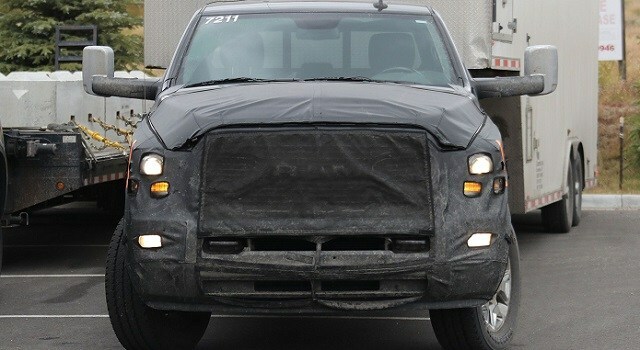 There are pretensioners to ensure optimal seating position during a crash, and both vehicles have integrated security measures as well as additional available security options.